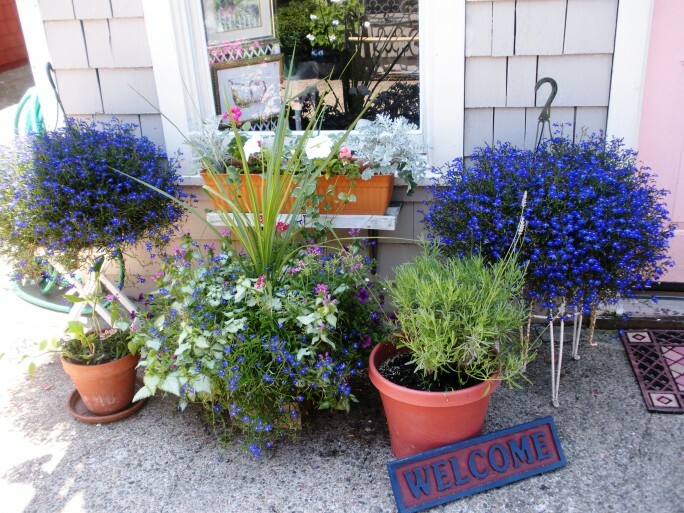 Just off route 127 in the city of Gloucester, Massachusetts is Rocky Neck, America’s oldest working art colony. 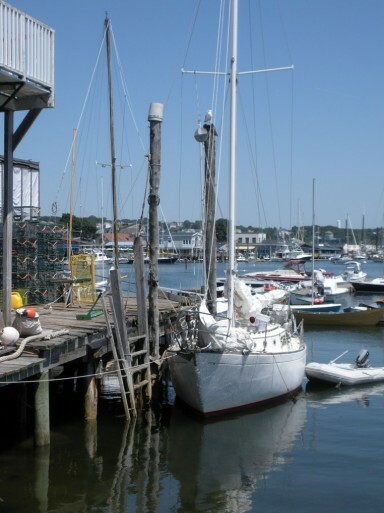 While “The Perfect Storm” put Gloucester on the map in recent years, this part of Gloucester’s heritage and current dynamic is something that more people need to experience. Welcome to America’s Oldest Working Art Colony! 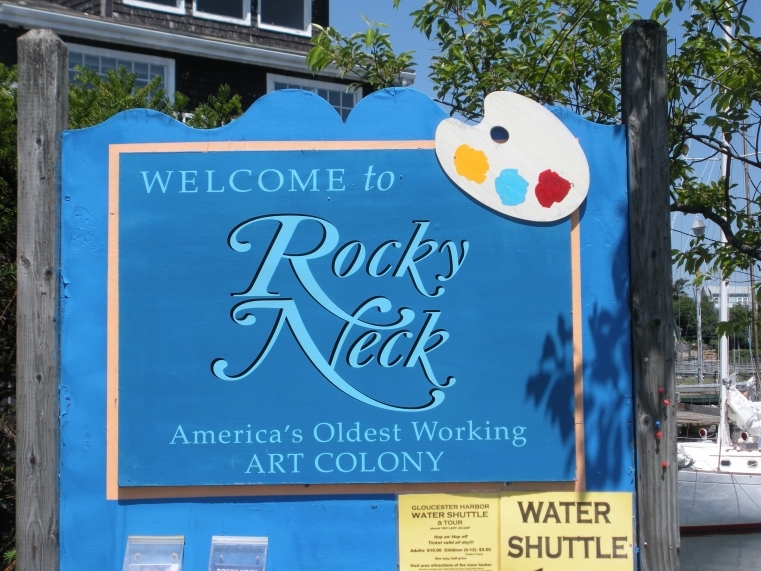 For over 150 years Rocky Neck has been a magnet to artists expressing their art in all types of media. The rocky coast combined with an unexplainable charm feeds the creative soul of the artist and the community allows them to find like minds for companionship and inspiration. 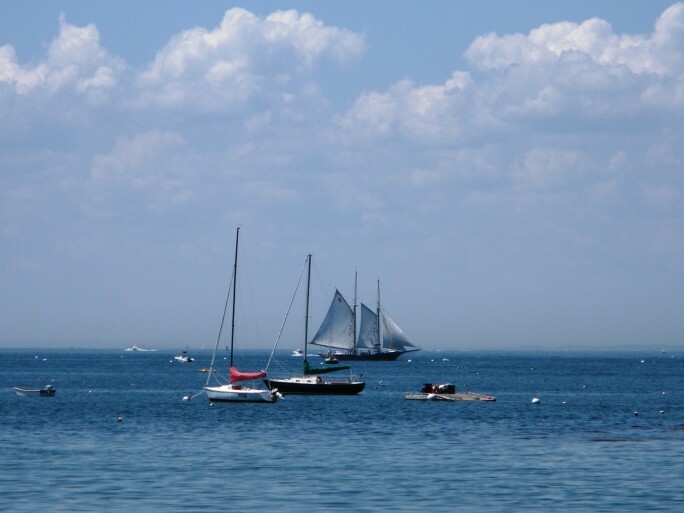 Its art history began in the mid 1800’s when a marine artist,Fitz Henry Lane, began painting in the area. Others followed including Winslow Homer, Frank Duveneck and Leonard Craske who created a sculpture famously known as “The Man at the Wheel”. 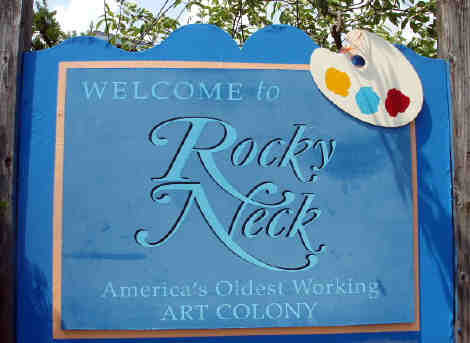 Rocky Neck also saw its share of authors, reported to include Rudyard Kipling and Louisa May Alcott. It was no wonder I felt a sense of history and nostalgia as we began walking through the colony. We experienced food for the soul as we walked through galleries, viewing different mediums and talking to various artists. We saw large marine landscapes with infinite detail at the John Nesta Gallery. Farther on Kathleen Archer’s photography captured misty scenes that portrayed the North Shore of Boston with mystery and beauty. A collection called “Choices” showed photographs of women, each draped turban style in cloth that was significant to them so that only their faces showed. Through the eye of a needle one can see all the world that is relevant. Such is the case with Gloucester, MA, for me. It is my focus and my home. Its gardens, shoreline and extraordinary light are dazzling and exciting. Parking in the area is free and an easy walk up the street brings you to the galleries. You can happily wander from gallery to gallery without a guide or decide to be more purposeful and use pamphlets that take you on a walking tour. 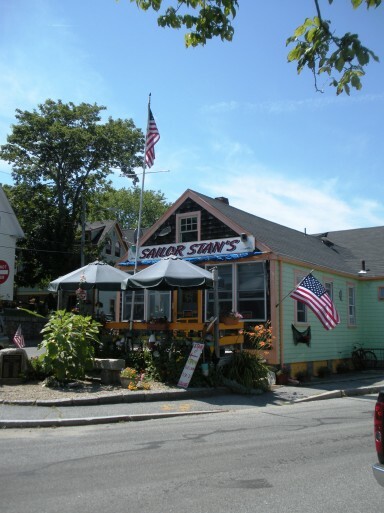 Restaurants abound with harbor views that allow for long, relaxing dining and, depending on the season, warm sea air flooding into the dining rooms. In a world where many claw their way to the top of the corporate ladder and greed is rewarded, we need more Rocky Necks and artists to fill them. Places that take us away from reality and inspire us to create. People who love their work, are true to their passions, and reflect the creativity of the God who made them.